Interested in a deep-dive on what goes into producing a successful video ad campaign? Watch our original series One, Ten, One Hundred to see why a video marketing strategy is important no matter what your budget is. Cisco estimates that video traffic will make up more than 80% of all consumer Internet traffic in just four years. But just watching videos every day doesn’t teach you how to use video marketing to achieve your business goals. That’s where we come in! For example, embedding a video player on your website can help boost SEO and even encourage visitors to spend more time on your site. But beyond numbers and view count, video also allows you to create a human connection with your audience while building trust. The storytelling powers of this visual and auditory medium can speak to your audience’s psyche in a powerful way, which is one of the reasons why so many businesses have turned to this tactic in recent years. When your business needs to be memorable and stand out amongst a crowd of competitors, video marketing can come to the rescue. Like we mentioned before, video is just the vehicle — your marketing strategy should power your message. Before you start making your video, it’s crucial that you determine your primary goal from the start. This will help you keep your content focused and will make the success of your video much easier to measure. Competing metrics and goals can be confusing, so we recommend setting up some “SMART” goals before you get started. Specific: Set a specific goal, such as gathering new leads or generating buzz. Measurable: Determine how you will measure success by including both quantitative and qualitative benchmarks. Achievable: Consider what obstacles might stand in your way of achieving your goals, and proceed or pivot accordingly. Relevant: Think about how the video fits into your overall marketing strategy and whether or not it aligns with current goals. Time-related: Set a concrete (and public!) deadline that’s tied to other projects, and hold yourself accountable. Once you’ve landed on the goal of your video, it should be a lot easier to narrow down your focus on what type of content to create to serve that goal. We’ve written several in-depth posts on specific strategies for creating video content that supports your product, brand, and more — check ’em out! How to Create a Winning Video Testimonial Strategy: If you want to use the real-life experiences of current customers to convince new users to sign up for your product, a video testimonial strategy can help. In this article, we drill down into testimonial-specific tactics, such as finding the right customer storytellers, creating a story arc where your product saves the day, and peppering the video with data and key benefits. Finally, crafting a convincing call to action will seal the deal on a great testimonial. How to Add Video into Your Content Strategy: Video can fit in seamlessly with the rest of your content strategy, complementing blog posts, white papers, social media, and more. Not only that, but also video will boost engagement where you need it most. You can start by repurposing older blog posts that need some love into eye-catching short videos. Going forward, we suggest putting out consistent video content and adopting the adage “show, don’t tell,” to get the most ROI from video. Crafting a Social Video Strategy: Maybe you’ve started sharing the videos on your website across social platforms. That’s great! But to take social engagement to the next level, you need to start thinking about platform-specific content. Facebook and Instagram users passively consume autoplaying videos, while Twitter is great for teasers that direct viewers back to your site. YouTube is a place where specific audiences seek entertainment or education. Consider where your main audience spends its free time before going all-in on any platform. Enhancing Your Video Marketing Strategy with Captions: Adding captions is a vital but often overlooked step in the video marketing process that can (and should) be applied to all the videos you create, regardless of where they live. Captions increase accessibility to your videos for people around the world and also boost SEO. Additionally, people who watch your video without sound (as many mobile users do) need to know what’s going on. Think about captions early (even from the time you start writing your script) so that the text is clear, translates well, and enhances the action on-screen, rather than simply restating it. Need assistance with captions? You can order them right within Wistia. Your video strategy should be structured so that creative tasks feel less overwhelming, and more like a key component of an already thoughtful plan. Leave plenty of room for testing and analysis, so you can replicate the aspects of a strategy that works for your business — and leave other tactics behind. The First 3 Videos Your Small Business Should Make: How can a small business with a small budget get started with video? The answer is actually pretty simple: start with the videos that will have the biggest impact on your business. In this post, we discuss how product explainer videos, customer testimonials, and company story videos can help you build trust and awareness. 9 Types of Videos Every Business Can Use: For true beginners or even experienced video makers who want to revisit the fundamentals, these are your bread-and-butter video use cases. The list includes everything from basic product and explainer videos to video voicemails and culture videos. Check out the example videos to see how companies add unique flair to videos used at scale. 5 New Ways to Use Video for Your Business: Most marketers know about testimonials, support videos, and product videos. But there are many use cases beyond the obvious, and new tools create new opportunities all the time. In this article, we walk through five unique ideas for your next video, including webinar promotions, email signatures, content teasers for social, product updates, and one-to-one customer delight videos. 4 Types of Videos to Liven Up Your Blog: Video and text are a match made in marketer heaven. Not only does video help with blog SEO, but also it breaks up text for a more engaging reader experience. Here, we offer ways you can easily add video to your blog posts, including using a B-roll montage video, making an enthusiastic product announcement, adding a silent looping video, and creating a video out of blog pull-quotes. How Long Should Your Next Video Be? : No need for a calculator — we’ve done the hard work of determining the optimal video length. Hint: the shorter the video, the greater chance that viewers will watch till the end, see your call to action, and remember your message. If you have something to say that’s a bit more long-winded, don’t let the data stop you. Rather, consider the costs and benefits of making a five-minute video versus a twelve-minute one. Now that you know what type of video you want to create, the next step is clear — getting people to watch your content. In order to have any results to measure, people need to know your video exists. By building a distribution plan, you can ensure that at least some views, visits, and conversions come through the door every time you create something new. Read on for our best distribution tips and tricks. Where to Share Your Social Videos if You’re a Small Business: Small businesses don’t have the luxury of a large network or significant resources to throw at videos. Plus, they have specific audiences that may be local or niche. Here, we dive into all of the most popular social media networks, including Facebook, Instagram, Snapchat, Twitter, YouTube, and LinkedIn and sift out the pros and cons of each for small businesses. 6 Ways to Promote Your Videos on a Budget: Wouldn’t it be great to have an unlimited budget for marketing spend? We wish! But there are other ways to boost video engagement beyond paid campaigns. Some of these promotion hacks are as simple as placing your videos “above the fold” on high-traffic webpages, linking to videos in your notes to email, and giving your social media videos more exposure with pinned posts. Before You Make a Facebook Teaser Video, Consider This: As a marketer, you know how important a strong Facebook presence has become for businesses over the past few years. However, with so many tweaks to their newsfeed algorithm, it can be tricky to decide what types of videos to share there. Here’s what we learned about making teaser videos for Facebook, including what to avoid and how to move forward with an effective strategy. 5 Actionable Tips for Improving Emails with Video: Chances are you already communicate with your customers or prospects via email. Adding video into the mix can not only help improve your open and click-through rates, but it can also encourage deeper engagement with your content. Want more eyes on that shiny new video you just made? Check out these tips for making this distribution tactic super effective. Distribution is the vital last step in the video marketing process. Making sure the right people see your content is a crucial component of effective video marketing. Experiment and analyze how your videos are performing on different channels to get a better understanding of what types of content work for your business and where. When it comes to using video on your website, different platforms serve different purposes. When you upload videos to platforms like YouTube or Vimeo, you’re giving away all the SEO-power that drives viewers back to your website through search engines. 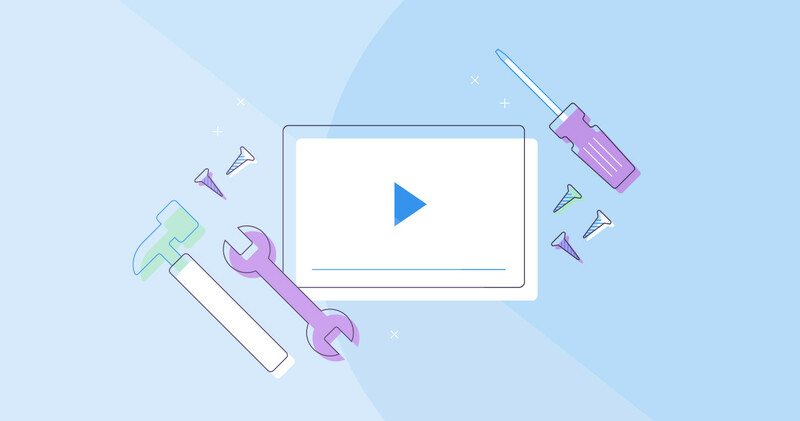 5 Easy Steps to Optimize Your Wistia Video for SEO: SEO is an important part of many content marketing initiatives, and video is no different. If you’re using Wistia, we’ve got built-in tools to help you rank for your most prized keywords. If you’re not, some basic tips like writing a clear video title and uploading a compelling thumbnail can still help you become a search engine champ! Your Videos Should Have Captions — Here’s Why: If you’re not already captioning your videos, you should make it a major to-do this year. Captions are a super easy way to bolster video SEO and open up your audience to millions of people who might otherwise skip over your content. 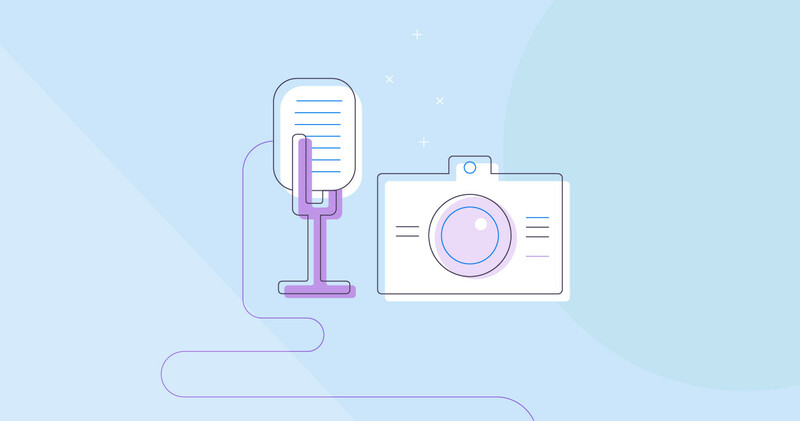 Captions are also quickly becoming an industry standard for marketers, and there are tons of opportunities to get really creative with them. Don’t miss out on the massive potential of captions! Wistia vs. YouTube — What’s the Difference? : Why pay for a video hosting service when YouTube is free? Great question. At Wistia, we make sure that your videos get indexed on all major search engines, with links back to your website — not to YouTube or Vimeo. There are, of course, instances where sharing your videos on YouTube might make more sense. Read on to learn about when you should host it and when you should post it. When you invest in video, you’re investing in SEO, which means more people will see your videos. Remember that search bots can only read text, so Google’s algorithm loves video transcripts. Optimize your videos and get more eyeballs on your content — it’s as simple as that! Video is a powerful tool, but we all know that teamwork makes the dream work. Pair your Wistia account with a marketing automation platform (like HubSpot or Marketo or an email service to make your videos work harder for you. Capture leads directly from your videos and automatically pass viewing data to your CRM of choice. Then score, segment, and assign leads to your sales team. Voilà! How to Incorporate Video into a Marketing Automation Campaign: Take down the wall between your video content and your marketing automation tool! This guide walks you through the process step-by-step so you can add video to your automated marketing campaigns. Video easily adds a human element to emails, making them more compelling — and ultimately helping you nurture and convert leads faster. Using Video and Email Together: Here at Wistia, we’ve seen the combination of video and email work wonders for our marketing initiatives. 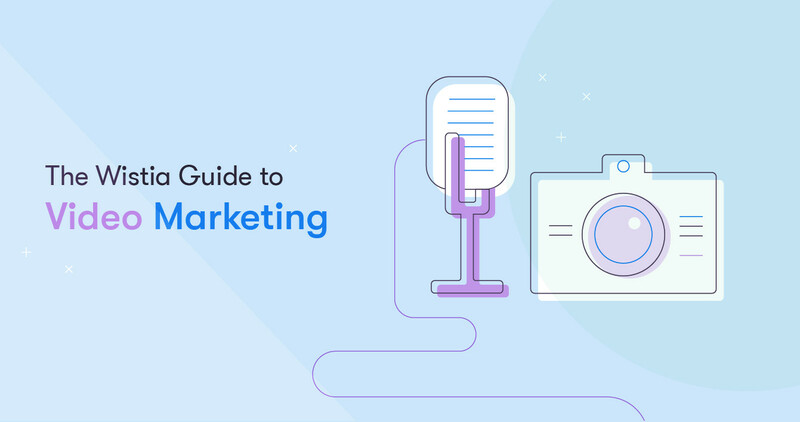 Covering everything from segmenting an audience to embedding videos and gifs, this guide is a must-read for marketers who are looking to take their emails to the next level. Take a look at the post for some fun experiments and download some free video-centric email templates while you’re there! 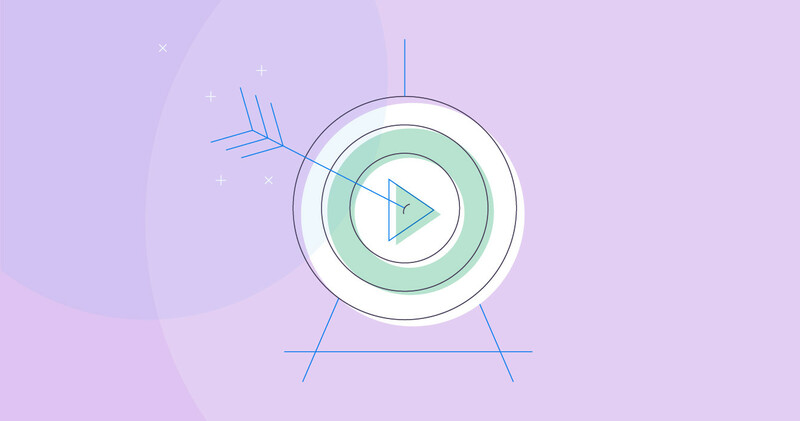 The Wistia Guide to Generating Leads with Turnstile and Video: While some of your videos may be purely awareness-oriented, sometimes entertainment isn’t always the end goal — that’s where good old leads and conversions come into play! Insert our Turnstile feature at the beginning, middle, or end of your video and start collecting email addresses from people who wish to view your content. 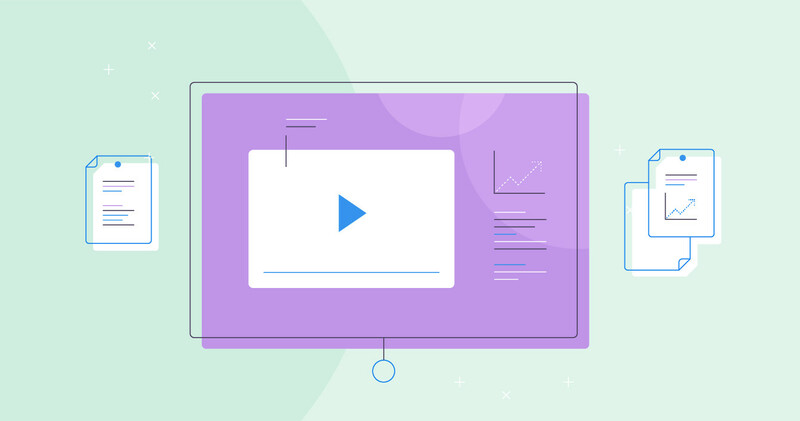 We analyzed over 3.6 million customizations of Wistia-hosted videos to see how the most successful video marketers use Turnstile to convert viewers, so take a gander at our guide for all the deets! Just because these integrations and customizations make your videos work harder doesn’t mean you’re creating more work for yourself. By getting to know your marketing automation, email, and video platforms well, you can get the most leads out of each video with minimal extra effort. 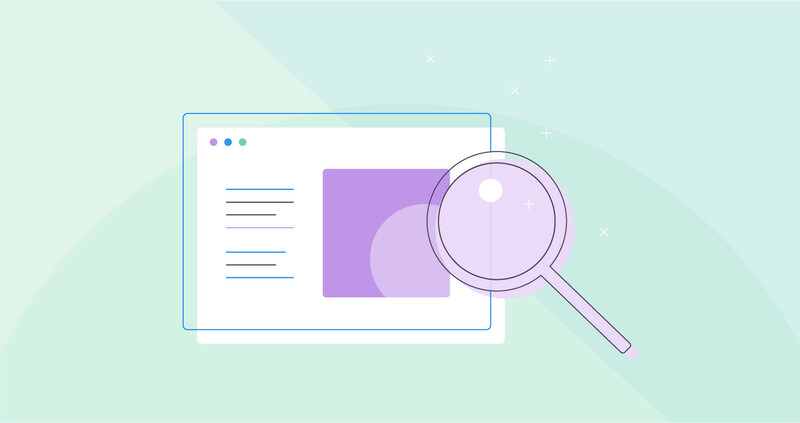 The Wistia Guide to Video Metrics: Like our email and lead generation guides, this is a deep dive you don’t want to miss. In it, we discuss the relationships between video metrics and more holistic goals, like how engagement can be a measure of content quality and comments a measure of clarity. 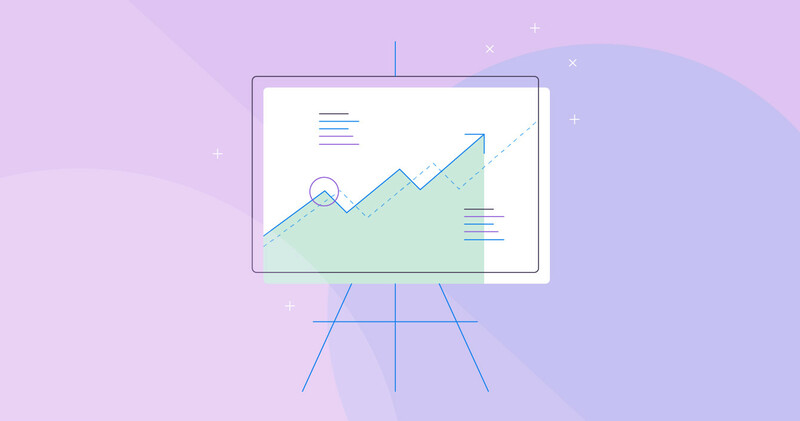 We provide actionable tips for setting measurable goals, improving each metric, and keeping the big picture in mind as you examine the numbers. Understanding Audience Retention: Who’s sticking around to watch your content and why? In this guide, we examined one of our own support videos to uncover why some viewers stay and others leave. We break the video down into three sections — the nose, body, and tail — and explain what might be happening when engagement drops off at each stage. Free Google Analytics Tools to Help You Measure Video ROI: Many marketers turn to Google Analytics to learn more about how their campaigns are performing. Wistia’s Google Analytics integration consolidates all of the most important video metrics in one place, so you can see how your video content contributes to your overall marketing strategy. We’ve also put together a few GA shortcuts, including a video tracking dashboard and an easy way to create segments that reflect video ROI. How to Use Data to Strengthen Your Video Marketing Efforts: In order to make sure you’re getting the most out of your videos, you should always make sure to incorporate video data into your other marketing data. We suggest going about this in three ways: tracking video events as part of your website analytics, comparing leads from different sources, and scoring leads for your sales team. When you put video data in context, you can see how video ROI really stacks up. Improve Your Wistia Workflows: 6 Integrations for You to Try On: We’re always adding integrations to make Wistia more helpful for marketers. These apps may be just the thing your team is looking for, whether it’s the feedback app Wipster, the task-automation app Zapier, or analytics tools that you can add instantly to your Wistia dashboard. The Wistia-HubSpot Integration Just Got a Major Update: Wistia and HubSpot have been in cahoots since 2015, and the relationship between marketing automation and video just keeps getting stronger. You can now get more out of your video events, audience segments, and lead information than ever before. Read the guide to see how the new features can work for you. The Wistia Guide to Marketing Automation with Marketo: Want to get started using Marketo and ultimately improve your sales funnel? This guide walks you through the key features of the Wistia-Marketo integration and even provides some use cases from other companies about how they’ve made the integration work for them. No marketing tool is an island. When you harness the power of integrations, you’re optimizing your video content and smoothing out internal and external processes — not to mention staying ahead of the competition. How Niche Modern’s Videos Communicate Authenticity: We’re huge fans of showing the humans behind the business. Niche Modern, a lighting company based in New York, creates videos that build a connection with their audience through educational content, behind-the-scenes looks at their process, and an earnest message. How the Museum of Fine Arts Uses Video to Attract Visitors: The Museum of Fine Arts in Boston boasts one of the largest art collections in the world, seeing over one million visitors each year. When it comes to media, they’ve always been ahead of the curve. Their current video strategy is mostly focused on artist and curator interviews, and they have an airtight production process to make sure every video is high-quality. Watch our in-depth tutorial and learn tips for shooting beautiful videos with your phone.